The crisis highlighted the complex relationship between Tehran and Doha historically. They have cooperated over economic development, particularly on a natural gas field that they share. (Iran calls it South Pars; Qatar calls it the North Dome field.) It has an estimated 1,800 trillion cubic feet of natural gas—comparable to a quarter of global proven reserves. They have also signed several trade and security compacts. 1986: Iran supported Qatar’s claim — against Bahrain — to the contested Fasht al Dibal Island. 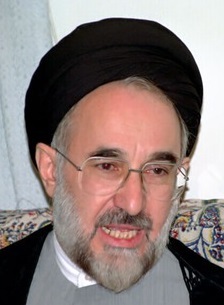 May 1999: Iranian President Khatami visited Qatar during a tour to repair relations with the Arab world. Jun. 25, 2013: Qatar’s emir, Sheikh Hamad bin Khalifa al Thani, stepped down in favor of his fourth son, 33-year-old Tamim bin Hamad al Thani. Mar. 8, 2017: Iranian Foreign Minister Javad Zarif met with the Qatari emir as part of a broader bid to reduce tensions with Gulf countries. It was the first such meeting since Qatar recalled its ambassador to Tehran in January 2016. Aug. 3, 2017: Qatar detained Iranian fishermen from the coastal province of Hormozgan for the second time in two weeks. The fishermen allegedly lost their way, and Iran pursued legal means to secure their release. Aug. 5-6, 2017: Qatar and Turkey held joint military drills. The Saudi-led bloc insisted that Doha downgrade military relations with Ankara as part of its original list of demands to the country. The move came as Qatar continued to deepen ties with regional players Turkey and Iran. Aug. 24, 2017: Qatar restored full diplomatic ties with Iran, vowing enhanced cooperation “in all fields.” Qatar’s ambassador to Iran was previously recalled from Tehran in 2016 after attacks on the Saudi embassy erupted into a diplomatic dispute between Iran and the Gulf. Aug. 30, 2017: President Trump spoke with King Salman of Saudi Arabia reiterating the need to cut off terrorist financing. The President urged “all parties” to negotiate a diplomatic settlement and return to commitments against terrorist financing made at the Riyadh Summit of 2017. Oct. 2, 2017: Iranian Foreign Minister Javad Zarif visited Doha for the first time since the Saudi-led bloc severed ties with Qatar. Iran’s top diplomat stopped in Oman before visiting Doha to discuss bilateral ties and the conflicts in Syria and Iraq. Dec. 18, 2017: Saudi Arabia permanently closed its land border with Qatar. The Salwa border gate was initially closed in June. It was briefly opened in August to allow Qatari citizens to attend the annual Hajj pilgrimage in Mecca. Jan. 6, 2018: Qatar was reportedly exploring tourism investment opportunities on Iran’s Kish Island, in preparation for the island’s use during the Doha-hosted 2022 FIFA World Cup. Jan. 17, 2018: President Rouhani met with the speaker of Qatar’s Advisory Council, Ahmad bin Abdullah Al Mahmoud, in Tehran. "We believe that any pressure on the Qatari government and people is unacceptable, and if there are differences between the countries of the region, especially the neighbor countries, they should only be resolved through dialogue," Rouhani said. Al Mahmoud expressed appreciation for Iran’s support during the crisis.